• The last chance to buy the 2018-19 Epic Pass is Sunday, Nov. 18. Les 3 Vallées, the world’s largest connected ski area, is located in the Tarentaise Valley, in the heart of the French Alps. As implied by its name, the area consists of three valleys: Saint Bon, Les Allues and Les Belleville. 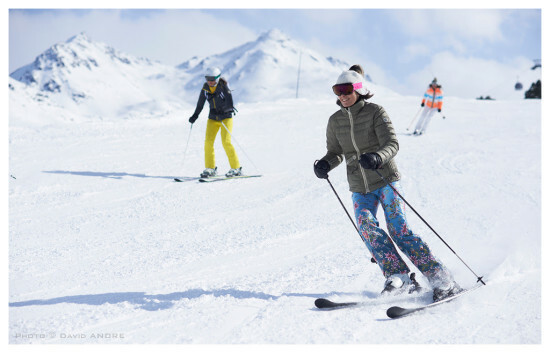 The ski area is a network of seven resorts Courchevel, Méribel, Brides-les-Bains, Les Menuires, Saint Martin de Belleville, Val Thorens and Orelle. With 155 lifts, 372 miles (600km) of skiing on 332 marked pistes, Les 3 Vallées offers incredible skiing on high altitude terrain. 85% of the runs are above 5,905 feet (1,800 meters) and Les 3 Vallées is home to Val Thorens, Europe’s highest ski resort, at an altitude of 7,545 feet (2,300 meters). The 2018-19 Epic Pass access also includes restricted access to Paradiski and Tignes-Val d’Isere in France (2 days at each), 4 Vallées in Switzerland (5 days), in addition to Arlberg in Austria (3 days). The Paradiski ski area in France is a true skier’s paradise, covering the domains of La Plagne, Les Arcs and Peisey-Vallandry, with two glaciers and three summits ranging from 3,937-10,660 feet (1,200 – 3,250 meters) in altitude. An unforgettable ski resort in France, Val d’Isère offers a huge ski area at the heart of the French Alps. With practically limitless skiing and breath-taking vistas, Val d’Isere and neighboring Tignes have a reputation for excellent terrain including some of the most exhilarating off-piste skiing worldwide. Verbier, part of the 4 Vallees ski area, is the largest resort in the Swiss Alps, is acknowledged as one of the premier “off piste” resorts in the world, and is home to a number of professional freeride competitions. Above and beyond this reputation, Verbier is well-known internationally for its electrifying, cosmopolitan nightlife, and the resort is proud of its legendary apres-ski and its lively clubs. For decades, the Austrian mountain range between Tyrol and Vorarlberg, which is home to Arlberg, has been a highly sought-after metropolis for international ski and snowboard enthusiasts. Arlberg is widely considered the cradle of modern skiing and home to the four world-famous ski resorts St. Anton, Lech, Zürs, Stuben, and St. Christoph.